'Kid Stuff' (Ben Hager, R. 1989). Seedling #AMD3515RndY. MDB, 7" (18 cm). Early midseason to late bloom. 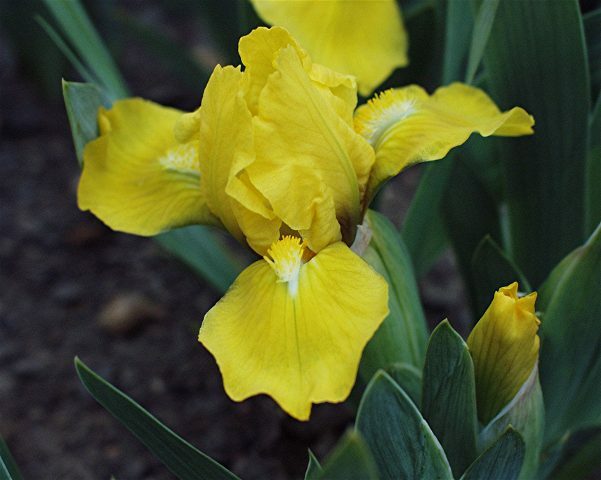 Standards yellow; falls slightly deeper yellow; yellow beard tipped orange; multiple bloomstalks. seedling #SD2473Br: ('Pink Amber' x 'Pink Cushion') X 'Solar Flight'. Melrose Gardens 1990.